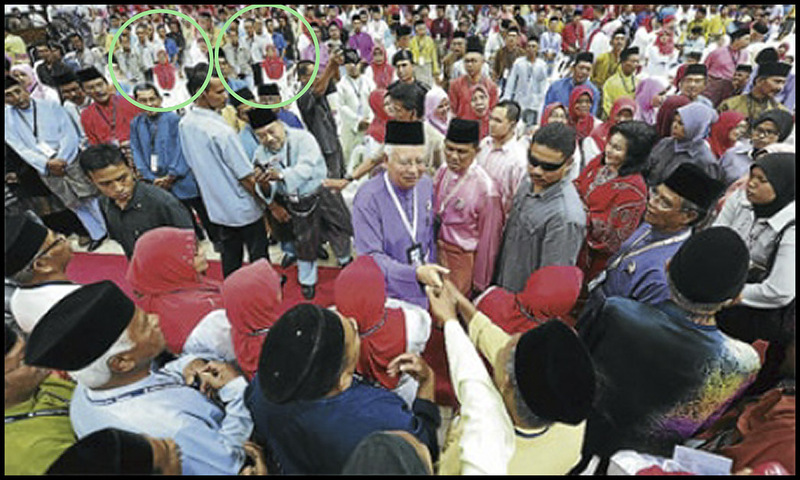 Man Behind Lens: They Doctored News Pictures In Malaysia Don't They? They Doctored News Pictures In Malaysia Don't They? Do they or they do not? Of course they do, not forgetting photographers have been manipulating pictures since the medium was invented! PUTRAJAYA: THE photographer who covered the Hari Raya Aidilfitri open house of Prime Minister Datuk Seri Najib Razak and ministers on Aug 19 regrets that his picture has become a subject of dispute by an opposition party senator who alleged it had been doctored. "Doctoring pictures is not part of my work ethic. In fact, it is not the work ethic of any Bernama staff. 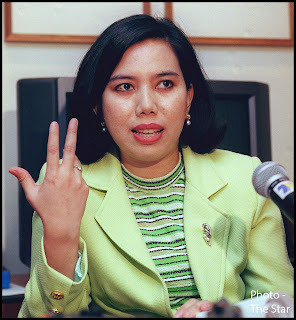 The allegation is an insult," said Harry Salzman Abu Bakar, a Bernama photograher. BERNAMA (Malay: Berita Nasional Malaysia; English: Malaysian National News Agency) is a news agency of the government of Malaysia. It is an autonomous body placed under the Ministry of Information, Communication and Culture. Bernama is an abbreviation of Berita Nasional Malaysia. Most of the news media in Malaysia and Singapore and international news agencies subscribe to BERNAMA. Further to the denial of image manipulation and doctoring, Bernama editor-in-chief Datuk Yong Soo Heong who said yesterday media personnel do not waste their precious time doing irrational things. Yong said Bernama urged anybody to come forward to make a detailed study of the photo and Bernama would cooperate fully. "We have nothing to hide about the picture," he said. Joining in the "fun", Nikon Professional Services Malaysia senior manager Mahfooz NR said if the picture had been modified, it could be easily detected in the detailed data file. Eh?? What data file? DUH! Cy Leow I am challenging Bernama Yong to send me those photos (in full resolution jpeg) and let me be the judge ;) How about that Mr Yong, if you guys got nothing to hide! Well wishers with the Malaysian Prime Minister again, nice high angle news picture; nothing fishy right? Take a good look again! Notice that little girl in red dress and the people around her appearing TWICE? It is clear as daylight the picture was DOCTORED! This effect is relatively easy to achieve in Photoshop using the clone tool! Cy Leow Now I understand why Bernama don't dare to take my challenge! Can you believe the NEWS PICTURES in Malaysian papers any more???? Didn't their Editor in Chief said....yada yada yada??? My friend alerted me to a Inside Malaysia news item a few minutes ago, it seems Bernama admits that photo was doctored; but Yong stressed further investigations were ongoing to determine the motive of the person concerned and whether there were elements of sabotage! Remember this front page picture in The Star many moons ago? As the Picture Editor then, that picture was selected by me but I thought it look different on the front page the next day! The "clever" Editor thought the news picture looked "BETTER" without the picture frames behind her, so he or she got one of the graphic artist to remove the two brown frames! Ever heard of INTEGRITY, REPUTATION of the paper? Can your readers believe in your news photos any more? I won't tell you how many more time I CAUGHT news pictures that were doctored in the paper I worked for in Malaysia! Errors in spelling and titles were spotted on the series of stamps issued to celebrate the Duke and Duchess of Cambridge's royal visit to Malaysia in conjunction with Queen Elizabeth II's Diamond Jubilee. In a front page report, Kwong Wah Yit Poh said the mistakes might have been the reason why the stamps were not completely available at all post offices on Sept 13, the day of the launch. In an enlarged picture of one of the first-day cover designs, it showed that Queen Elizabeth's name was spelt "Elixabeth". The PAST TENSE of SPELL is SPELLED, NOT spelt! Spelt is a kind of wheat!! Talk about mistakes with QE II picture, I remembered fondly many years ago when The Star still published "Street Edition" that one of the film mounter mistakenly mounted a old Chinese lady's picture in the obituary page into a picture space where the Queen was to be!! My colleague and friend commented in FB...Thanks Martin!! Martin Smith - Do these guys call themselves professionals? If they do then they must think the rest of the world is thick. Thanks CY a very interesting post & I will be looking a lot closer at newspaper pics in future. Chong wrote: "Read your blog, Cy Leow and it brought back one particular memory of a certain photographer in Penang Star who had two shots of a goal being scored ... he merged the two and had the ball at the back of the net (no one was the wiser). I doubt the editor knew what happened either. But it was quite common in the 70s and 80s, no? Darkroom magic."